“I think giving something up for Lent is too negative, so I’m adding something this year instead.” When I heard this, I understood the sentiment. I have enough negativity in my life, and I don’t need my church adding more. I don’t want a faith that is just a list of prohibitions, a long lament about what’s wrong with the world, or a constant reminder of how awful I am. That kind of faith is not only unhelpful, it’s actually harmful. 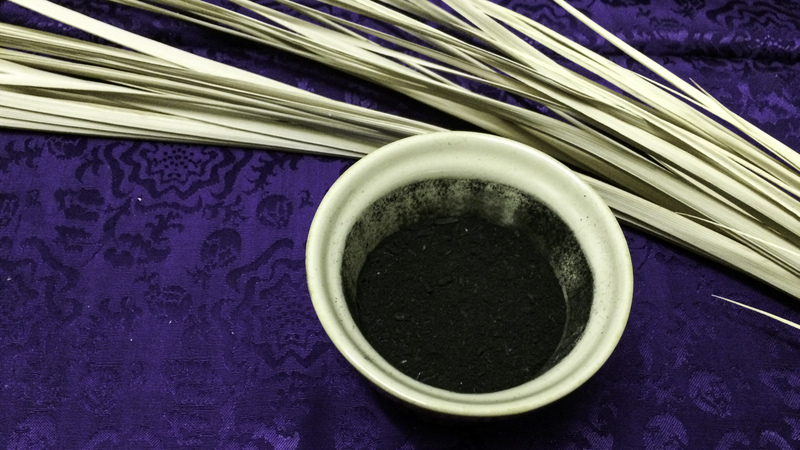 At first glance, Lent seems part and parcel of that brand of negative faith. During the forty days leading up to Easter, Christians take a critical look at our lives. We confess sin. We fast and give things up. And we journey toward Jesus’ suffering and death on the cross. Lent focuses on things I would much rather avoid. I’ve begun to realize, though, that those things I dismiss as too negative are sometimes the things I need most. I need to take a hard look at my life. I try to fill my attention at every waking moment. Whether it’s social media, Netflix, video games, podcasts, or mindless internet surfing, I rarely give my mind a moment of down time. I need to get rid of noise so that I can take time to rest, reflect, and listen. I need to give things up. I focus on things that don’t matter or, worse, are antithetical to the life God has called me to live. I do things that are not consistent with loving God, my neighbor, or myself. I allow distractions to take priority over my family, friends, work, and faith. I need to repent. I am selfish. I fail to speak out on behalf of others because I don’t want to step on anyone’s toes. I ignore the needs of others as long as my needs are met. I worship the gods of success, productivity, and prestige instead of the God revealed in Jesus Christ. I need to remember my mortality. One day, I am going to die. I need to remember that every moment I waste is one I will never get back. Every opportunity I allow to pass is one that may never return. Lent can seem negative. It’s difficult. And sometimes, it’s even painful. But I believe the negative, difficult, painful medicine of Lent is exactly what we need. When we take time to reflect, we can see where our lives are going astray and correct them. When we eliminate distractions and idols, we can focus on what really matters. When we repent, we can experience freedom from the sin that hurts us and the ones we love. When we remember our mortality, we can make the most of the time we have been given. If, instead of giving in to denial, distraction, or despair, we are willing to journey with Jesus toward the cross, we can experience the power of his resurrection. Jesus overcame sin, evil, and death not by ignoring the harsh realities of existence, but by confronting them. When we confront the painful realities in our lives, we allow God’s grace to transform them. That’s why we need the season of Lent. And whether you give something up or take something on, I hope that you will journey with Jesus during the forty days of Lent, even if it seems a bit negative, so that you can experience the joy of resurrection on Easter morning. Question: How are you observing Lent this year? I am the pastor of First United Methodist Church in Tuttle, OK. I am blessed to be the husband of Courtney and father of Elsie. We enjoy running, hiking, University of Oklahoma football, and hanging out with our dog Harvey. Things may be a little rough as I work to get the blog up and running. Thanks for joining me on the journey.